Public employees in Texas who, in good faith, report a violation of law by their employer or another public employee to an appropriate law enforcement authority are protected from retaliation. The Texas Whistleblower Act was enacted to protect municipal, county, and state employees from retaliation. Retaliation may include an adverse personnel action, suspension, or termination. 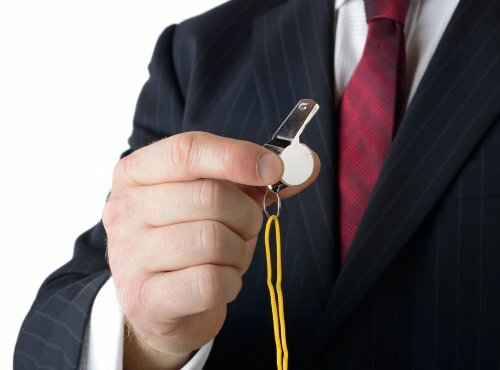 Under the Texas Whistleblower Act, an appropriate law enforcement authority may include “a part of a state or local governmental entity or of the federal government that the employee in good faith believes is authorized to: (1) regulate under or enforce the law alleged to be violated in the report; or (2) investigate or prosecute a violation of criminal law.” A public employee who pursues a claim under the Texas Whistleblower Act must file suit within 90 days of the date of the retaliatory action. If you believe that you have been, or may be retaliated against, for engaging in whistleblowing activities, you should contact the whistleblower retaliation attorneys and lawyers at Howard & Kobelan immediately. To best protect your rights, it is also important to document any and all events concerning a violation of law or your report of any violation of law.